How do you hold a meeting in the Rocket City? You "plan-it!" 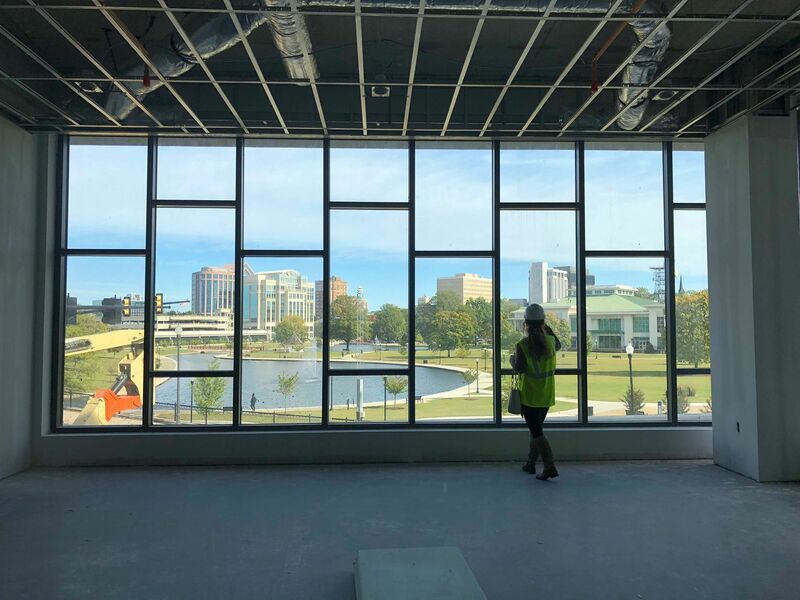 As the City of Huntsville continues to grow—adding new restaurants, hotels, businesses, and more—so does its popularity when it comes to hosting major conferences and events. This year, Huntsville has expanded its list of event venues in order to accommodate the growing demand and improve upon existing spaces. 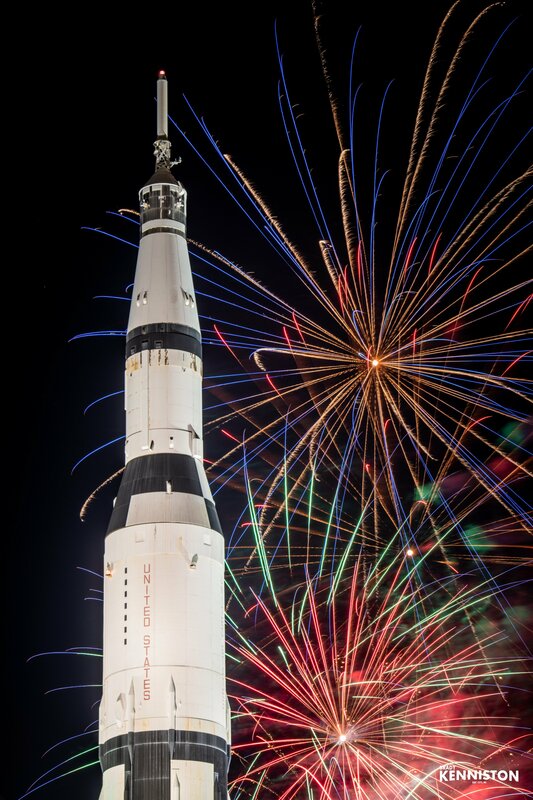 Here are a few additions that will make any meeting or event in the Rocket City a memorable one. If you are looking for free help planning your meeting in Huntsville, click here! While driving down Clinton Avenue near the Von Braun Center (VBC) you can see construction crews hard at work creating a project that will serve multiple purposes, including plenty of new space for events. Within the VBC’s expansion will be a 35,000 square feet multi-purpose event space with an outdoor terrace, a 14,000 square foot breakout meeting space, and a 1,200 capacity music hall with food and beverages. It will also make several other improvements that enhance the site’s accessibility from various existing halls to the nearby Embassy Suite’s hotel. Just a quick glance at the renderings and it easy to see that the ample new space will be attractive as it is functional. According to the original project timeline, the expansion should be complete by May 2019. But it can’t happen soon enough! The VBC already sees an estimated 800,000 visitors per year and it will have even more once the additional square footage is added. Click here for more information on the exciting VBC expansion. 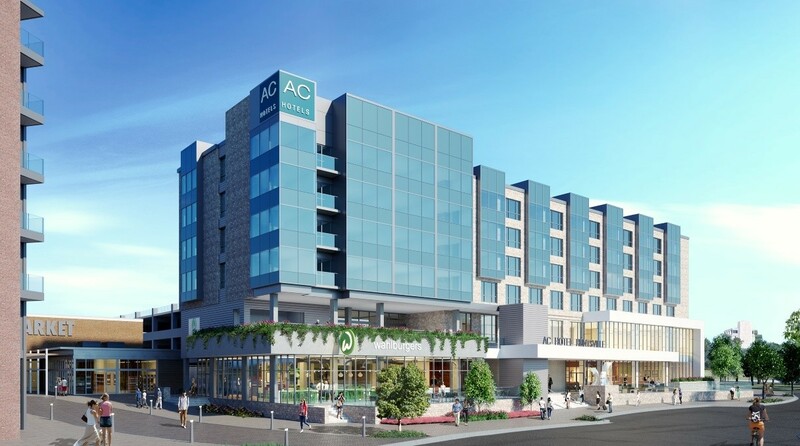 There’s been a lot of talk about the new AC Hotel in downtown Huntsville. In fact, the development recently won project of the year at the annual Downtown Huntsville Inc., meeting and awards breakfast. This means everyone is ready to welcome the new hotel and get a glimpse inside. An upscale fitness center, lounge area, new restaurant—Gemini Kitchen + Cocktail—and modern amenities will be topped off with 3,000 square feet of high-class event space, which includes six rooms. The largest of the spaces, “The Gallery at Big Spring Park”, will be able to accommodate 275 people. There are even spaces for smaller meetings for up to five people. As part of a larger development, downtown’s City Centre, the AC Hotel will have plenty for guests to do between meetings. Stay up to date on the progress at City Centre here. Looking to add stunning scenery to your event or gathering? 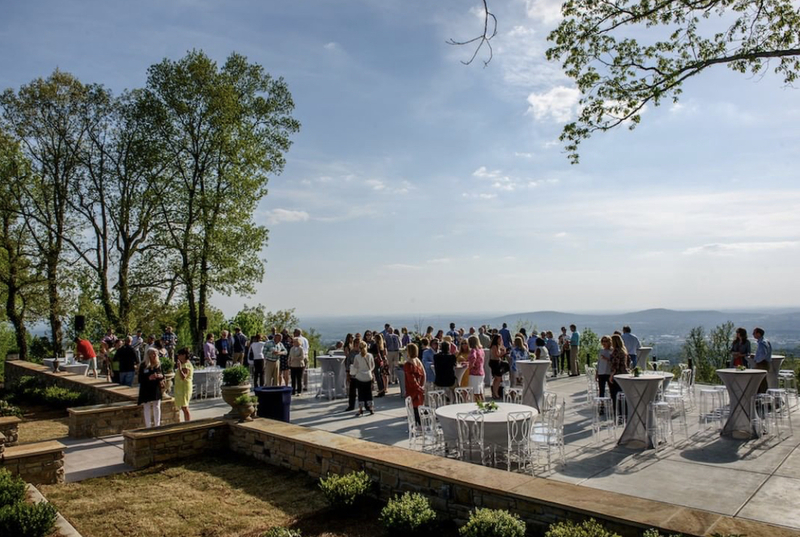 Search no further than the gorgeous Burritt on the Mountain. For more than 60 years, Burritt has attracted visitors to experience some of Huntsville’s unique history. Guests are invited to explore the grounds and see inside Dr. Burritt’s historic mansion or gather at a barn from the early 1800s. You can even venture back in time to learn a skill or activity that was important to daily living on the mountain more than 200 years ago. But on the edge of the grounds, framed by an aerial view of the city below, there’s an outdoor event space that’s been drawing crowds since its opening. The View is a 3,000-square-foot cantilevered overlook that offers a one-of-a-kind view with unforgettable sunsets. If you want to check it out before reserving it for your own event, visit on a Wednesday night between April and October to savor a handcrafted cocktail. Or join them for an evening of “elevated fare” with 2 Chefs at The View. It’s a limited-seating event where you can experience perfect pairings of wine, local ingredients, and colorful skies as far as you can see. 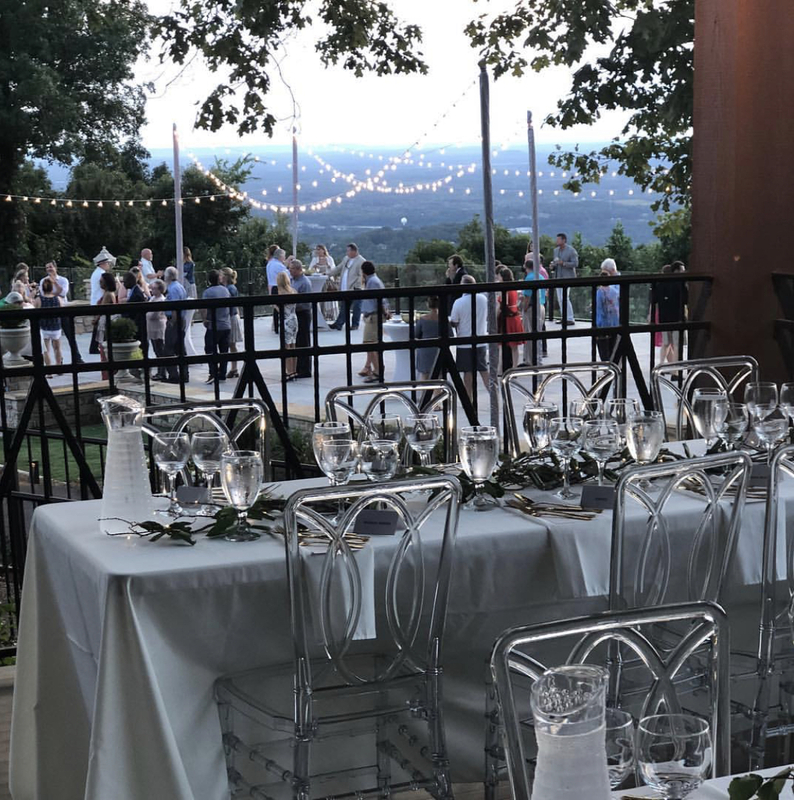 See more about booking events at The View at Burritt on the Mountain here. 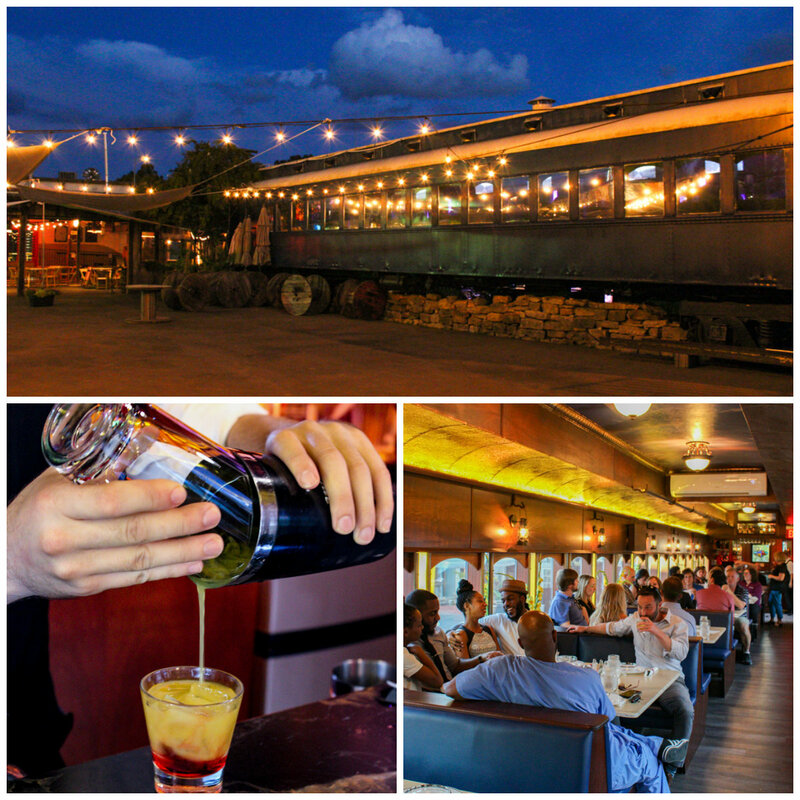 The Blue Bayou, a Prohibition-era refurbished train car, is a space that’s sure to leave a lasting impression on anyone who visits. Available for booking private parties in advance, The Blue Bayou can seat up to 36 guests. Trust us. You’ll be treated to an experience you won’t soon forget. 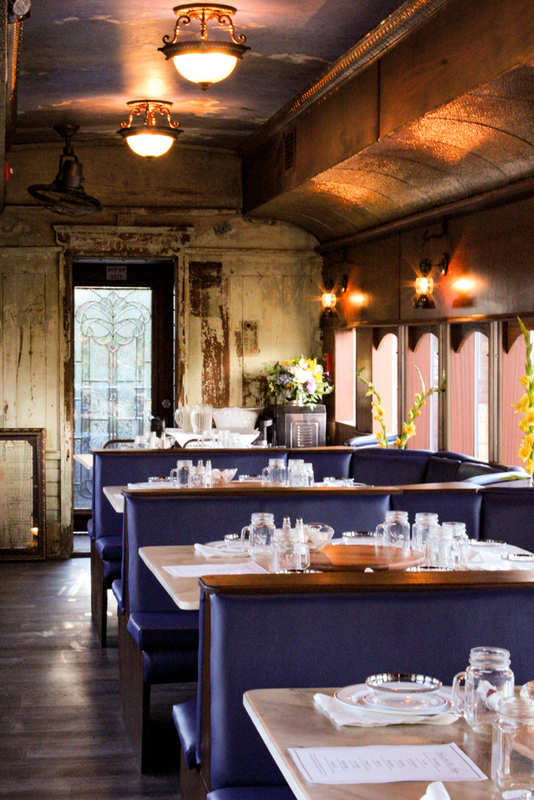 While the stationary train restaurant serves a set destination-themed menu each day of the week, private groups have the option of choosing which of the menus they wish to serve at their gathering. There’s also access to a full bar where beer, wine, and cocktails can be purchased. If you have technological elements at your meeting, you’re in luck. The train is equipped with hookups to project your presentations (laptop slideshows with video and sound) and wireless microphones are available. See how you can book your event or private party at The Blue Bayou here. 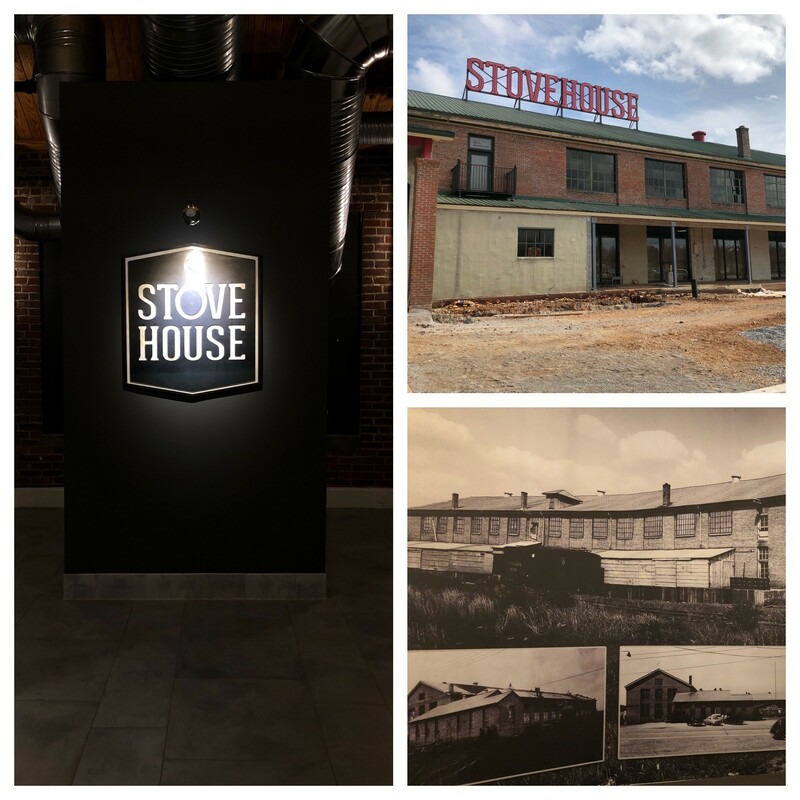 Because of several recent announcements about what’s coming to the new Stovehouse Food Garden, people are asking what they can expect when it comes to event space at this historic venue. More specifics will be released soon. 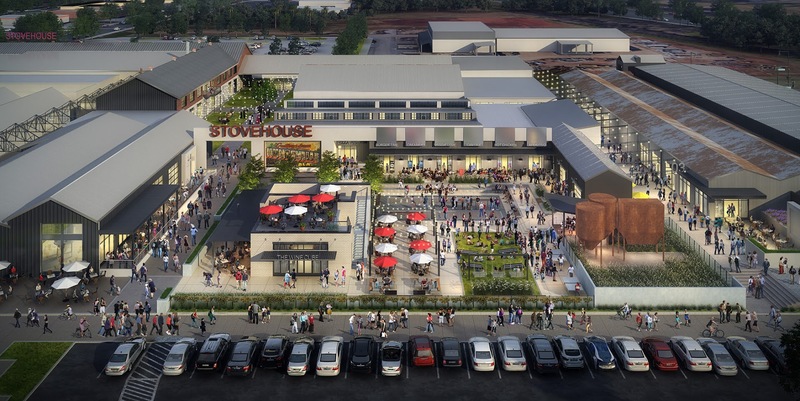 But we do know that the development off Governors Drive will house multiple stages for live entertainment and ample event space for conferences, weddings, and events that will be surrounded by eclectic dining and retail. Keep up with progress at Stovehouse by visiting www.stovehouse.com and following the development on Facebook and Instagram. What other event spaces should we include on our list? Are you planning to book one of the venues above? Let us know in the comments!